a full frame sensor is far from a necessity. Such a sensor has advantages, but also disadvantages. The film cameras that Hollywood traditionally used had the image size not much bigger than the APS-C sensor. A cheaper alternative is the Canon 70D. It’s very similar to the 80D, but you lose the headphone jack and 60 fps HD video. 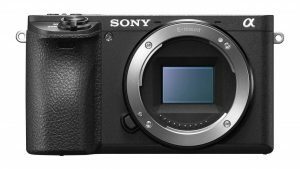 A great alternative to the a6500 is the Sony Alpha a6300. Both cameras use the same sensor and processor, so the image quality is the same. The main improvement of the a6500 is the inclusion of the in-body image stabilization. You might be better off saving money on the a6300 and putting it towards a glidecam or 3-axis gimbal. Here is my review of the Sony Alpha a6300. Having said all the wonderful things about the GH5, the Panasonic Lumix GH4 remains a very capable camera (I still use mine). Here is the review of the GH4. 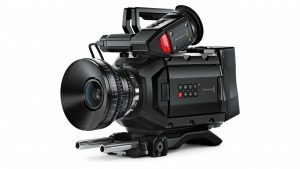 In 2017 two cameras have been announced that might eventually dethrone the URSA Mini Pro 4.6K as the best value cinema camera. They are the Canon C200 and the Panasonic AU-EVA1. 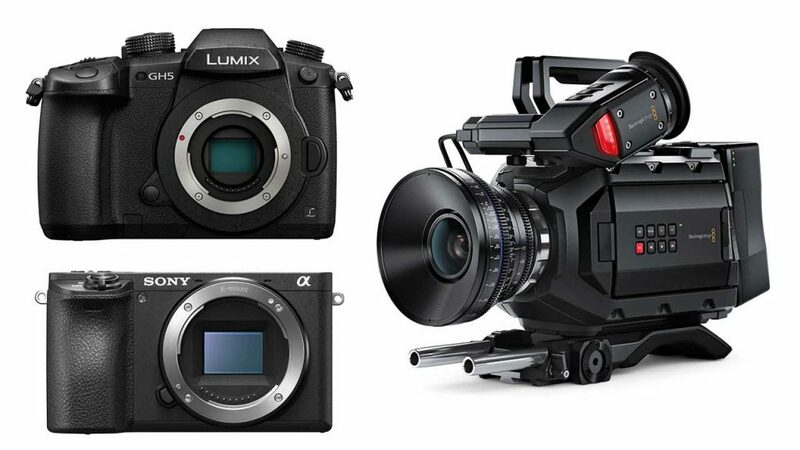 Mind you, I’m speculating based only on specs, as these cameras are not available yet (the Panasonic AU-EVA1 will be released by the end of October 2017). I use the Sony a6500 to take my photos, I find it really useful and it is really compact and when I don’t have my a7sii with me it is really a great back up option! I have had the GH2, 3, 4 and now 5 . The GH5 is the best so far no crop in 4K , built in stabilization which is very good , the a6500 doesn’t even come close , 60fps in 4K , 120 and 180 in FHD. I use the inexpensive Viltrox speed booster to mount canon and Sigma DX lenses . The ISO performance is much improved over the GH4 . The a6500 has good auto focus , the GH5 does not but the GH5 wont let you down do to over heating which my a6500 did, to many times, so I sold it. When my GH5 is on a gimbal I use the Rokinon 12mm manual lens , stop it down to f11 or 16 , set focus at 10ft and I’m good from about 4ft to infinity. Many other great things about the GH5 and for the it’s price I don’t know of another camera that’s better, if you know of one let me know. 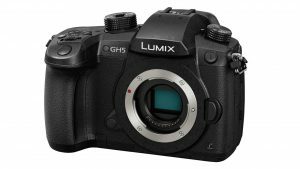 The Panasonic GH5 is by far a major milestone camera for indie film and run and gun documentary style shooting jobs. I have owned one since December 2017 and have been enjoying it thoroughly. The built in IBIS system that allows using lenses without stabilization, 4K60, Anamorphic capability and 400 Mbps and V-LOG color profile make this a powerful film camera to say the least! For further quality you can adapter certain fullframe and APS-C lenses (with EF Mount) with the addition of a speedbooster to make use of your existing lens set. This camera also is ready for the next generation due to it having the ability record in H.265 when that becomes mainstream. Use Anamorphic lenses with full sensor and get near 6K full sensor resolutions. For photographers, the GH5 also doesn’t disappoint! 6K photo mode lets you choose out of full 6K res photos the best photo. Timelapse intervalometer mode on the photo dial lets you take breathtaking timelapse photos and combine them in-camera into a a Video! If you are on the fence about getting this camera, don’t hesitate. You won’t be disappointed! Tom – what is your opinion on needing to have a certain level of camera in order to be hired as an owner/operator shooter? I understand that some clients hire shooters based on the camera, and not on actual skill level (if you tell them that you have an Alexa or RED, they’ll just assume that your work is good). Some believe that starting out with very capable small cameras (eg. Sony A7 series, Panasonic GH 5/5S, BMPCC4K, Fuji X-T3 etc) will put you at a disadvantage, and won’t result in much work. Of course, the goal is to upgrade to a “proper” sub-$10,000 (or higher if budget permits) cinema camera down the road though. I’m aware that there are many variables at play (eg. type of shoot, deliverable requested by client, market that shoot is located in, etc.) but just interested in your position on this topic. I know cinematographers who started out with simplest of cameras but all they showed off was their work, not their gear and they have amazing careers and I also know cinematographers who started out getting work simply because they had the latest, hottest, most expensive camera and with time they also build a great career. Really it all depends on how you market yourself. If you want to start getting paid work right away on regular basis then make an investment into the latest camera that not many people have. It’s not about just having any RED or Arri camera but the latest and best version which will cost you premium. But if you market yourself right away that you have that piece of gear and you have a competitive price then you will get work. Then you will have to be smart to use that work opportunity to try to build a great reel and slowly transition into being the guy with the great skills and not the guy with the greatest camera. If you do not then you’ll end up like some shooters I’ve know, who now have an aged and beat up RED Dragon who not many people want to rent anymore and because of that those owners just sit home contemplating about investing another $50K into a new camera rig. If you market yourself as being the guy with the skills who can shoot on any camera it usually will take a bit longer to get your name known to some of the bigger production houses, but with time and great work each time you get a chance to do it, you will also build a career that in my opinion will be longer lasting than the previous option. Now I’ve also seen people do a mix of the two, and it’s kind of how I started out as a cinematographer. I bought some mid range cameras but also made contacts with local rental houses and camera owners (first scenario) and would apply to any cinematography job telling the producers that I either own or “have access” to any camera they wish for free. Then of course I would make sure that my rate was high enough that I could cover the rental. It meant that at the beginning I wasn’t making much after my rental fees or sometimes I wasn’t making anything at all. But it did allow me to get some jobs where I could prove myself and make some great contacts. Then I was also known as the guy who gets great gear and gets the job done well. I think over the years it seems that most people who hire me don’t care what camera I have or don’t have, they just want to hear my ideas. I do still sometimes get clients contacting me, saying that they heard I own the Arri LF or RED Monstro etc and they want me to come out and shoot something for them. In most of those cases if after talking to the client I feel like they don’t really care for my skills but are more interested in the gear, I just turn them down. It’s hard to sometimes turn down great paying work but I feel in the long run it’s better so that I am not know as the gear guy but a skilled shooter.